At a time when technology is disrupting different industries across the world, the consumer-facing property brokerage industry cannot be far behind. Real estate was among the first marketplaces in India to attract and justify professional brokerage services, and took off in earnest on the back of increasing need to connect renters and homebuyers with relevant suppliers. Let’s take a rather obvious example – that of ‘virtual tours’. 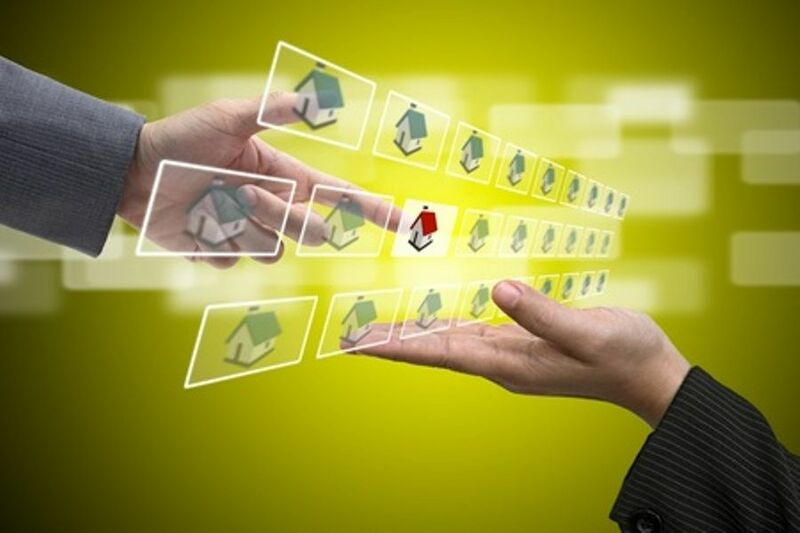 Via this tech-enabled medium, real estate consultancies help prospective buyers, renters and investors to visually navigate the interiors of various properties on their computers or smartphones. True, Indian residential property continues to be a ‘touch-and-feel’ marketplace in which personal site visits are more or less de rigueur. However, providing customers with a virtual tour of various options, be it under-construction homes for purchase or furnished apartments to rent – is now an important differentiator for real estate brokerages. With rapidly deepening Internet and smartphone penetration even into hinterland rural areas, the ‘virtual’ space has become a very ‘real’ tool with which to market real estate in India today. As a logical step out of the morass of largely unqualified property listings which previously cluttered online property searches, real estate consultancies and now leveraging technology to offer curated and verified options with a wealth of supporting information. RERA has made this process a lot easier, as well. Another tech-driven evolutionary step that will change the face of India’s property consulting industry in the not-so-distant future is improved use of predictive analytics. Such algorithms will be able to accurately target customers with the exact kinds of properties they are looking to buy, much like e-commerce portals are already producing personalized ‘wish-lists’ of item people have expressed an interest in buying online. As automation and advances in technology redefine how consultants and buyers interact with real estate, it becomes more important than ever before to deliver the ‘experience’ that provides buyers with the appropriate ‘feel-good’ vibes about various options online and to enhance their property purchase journey overall. Experiential shopping is already an important facet of attracting customers in today’s retail world. Real estate consultants now under increasing pressure to identify tech-driven ways of delivering similar experiences to their customers. RERA has begun the important work of bridging the chronic trust deficit between real estate buyers and builders in India. The root cause of this deficit was obviously performance-based – read delivery delays, incomplete or non-existent regulatory compliance of projects, and misleading or outright deceptive promotions and promises. However, the trust deficit has also been a function of the thick barrier that developers erected between themselves and their customers. This barrier has seriously impacted their reputations for trustworthiness and accountability. Here lies an opportunity for real estate consultancies to break the barrier and bridge the gap via technology that goes beyond lame bots trying to emulate the ‘personal touch’ on developers’ websites – as can be expected in today’s highly tech-aware marketplace, without much success. Over the years, real estate consultants have gradually moved beyond the traditional ways of prospecting. In fact, with the Internet opening up the market in unprecedented ways and taking a lot of the footwork out of finding property options, as much as 70% of modern real estate consultancies’ prospects are today acquired through digitally-obtained leads. Not surprisingly, a lot of this work will happen on smartphones. Brokers need to be heavily tech-savvy to handle millennial clients who are digital natives themselves and expect information exchange to happen quickly and seamlessly. By leveraging data and insights to answer clients’ queries within a matter of seconds, brokers can win and retain customers on the go. Crowdfunding may also emerge as a new way for real estate consultancies to add value both to developers and their customers. For instance, it could use the crowdfunding platform to raise small amounts of money online from several donors in order to finance a developer’s project or venture. Sounds far-fetched? So did mobile telephony or two decades ago. In today’s Internet-enabled age, the possibilities are ‘virtually’ limitless. Such technological advances, along with various apps to make them more relevant to an audience which spends much of its waking hours glued to their smartphones, will revolutionize almost all aspects of the real estate business in the future. In particular, they speed up the entire transaction lifecycle of residential real estate in India, while making the whole process more engaging and exciting for customers, developers and consultants alike. Technology is challenging the property brokerage business, goading it into higher levels of performance and reward – and, as is routinely seen most of today’s competitive marketplaces, those who successfully ride and crest this wave of change will garner the all-important first-mover advantage over their competitors.